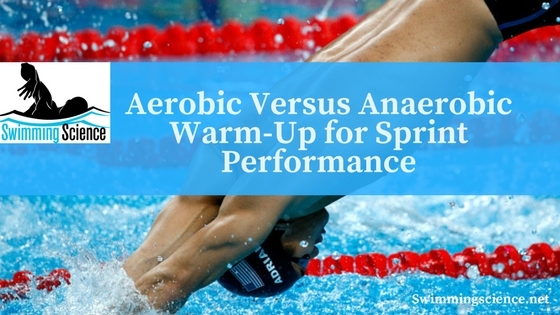 Could it be possible that an aerobic based warm-up might be just as beneficial as an anaerobic based warm-up for sprint performance? 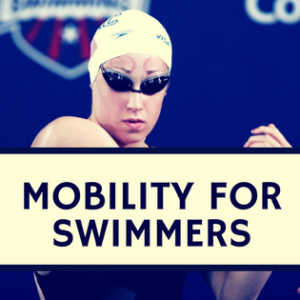 While there is little evidence to support the inclusion of high-intensity, race-pace, warm-up before a 100-m swim, most coaches and swimmers feel that it is necessary. Aerobic and anaerobic systems each contribute approximately 50% to the overall energy required for this race. So then, is it essential to include high-intensity, race-pace work in order to enhance performance? Well, I am curious – aren’t you? The researchers from a current study titled, WARM-UP FOR SPRINT SWIMMING: RACE-PACE OR AEROBIC STIMULATION? A RANDOMIZED STUDY sought to find the answers to these questions. 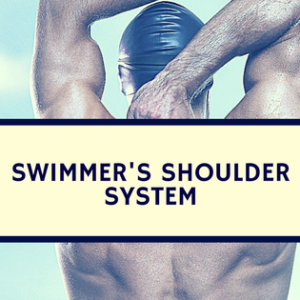 13 male swimmers ages 15-20 years were selected from a group of national-level athletes. Two warm-up plans were designed. 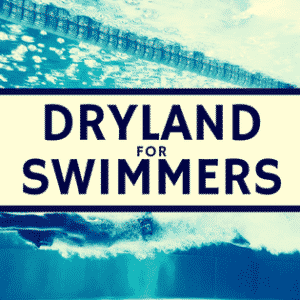 When the swimmers arrived at the pool for testing, they were seated for 5 minutes before assessing the following: resting cortisol, testosterone, tympanic temperature, core temperature, and heart rate. They were then randomly assigned to one of the two warm-up groups. Each swimmer competed in a 100-m sprint swim following either the control or the experimental warm-up. This was repeated 48 hours later with the other warm-up. They were encouraged to maintain the same nutrition, training and recovery routines. During the swim, stroke rate, stroke length and propulsion efficiency were determined. Heart rate, VO2, and blood lactate levels were assessed at various time points before and after the warm-up and all-out effort. There was no significant difference in 100-m trial times based on which warm-up was performed. However, warm-up style did alter the biomechanics and physiological variables during the 100-m effort. The observed biomechanical differences are thought to be a result of motor neuron activation during warm-up. Higher velocities increase the excitability of motor neurons, potentially improving their rate of force development and power production. In this study, this was reflected in increased stroke rate. Decreased lactate levels following the experimental warm-up demonstrate an increased reliance on the aerobic system for energy production. If the race strategy is to improve efficiency, an aerobic set should be performed during warm-up. If there is a greater time between the warm-up and race, an aerobic set should be performed as it raises core temperature more than a race-pace set. The aim of this study was to compare the effects of 2 different warm-up intensities on 100-m swimming performance in a randomized controlled trial. Thirteen competitive swimmers performed two 100-m freestyle time-trials on separate days after either control or experimental warm-up in a randomized design. The control warm-up included a typical race-pace set (4 x 25 m), whereas the experimental warm-up included an aerobic set (8 x 50 m at 98–102% of critical velocity). Cortisol, testosterone, blood lactate ([La-]), oxygen uptake (VO2), heart rate, core (Tcore and Tcorenet) and tympanic temperatures, and rating of perceived exertion (RPE) were monitored. Stroke length (SL), stroke frequency (SF), stroke index (SI), and propelling efficiency (np) were assessed for each 50-m lap. We found that VO2, heart rate, and Tcorenet were higher after experimental warm-up (d > 0.73), but only the positive effect for Tcorenet was maintained until the trial. Performance was not different between conditions (d = 0.07). Experimental warm-up was found to slow SF (mean change +/- 90% CL = 2.06 +/- 1.48%) and increase SL (1.65 +/- 1.40%) and hp (1.87 +/- 1.33%) in the first lap. After the time-trials, this warm-up had a positive effect on Tcorenet (d = 0.69) and a negative effect on [La-] (d = 0.56). Although the warm-ups had similar outcomes in the 100-m freestyle, performance was achieved through different biomechanical strategies. Stroke length and efficiency were higher in the first lap after the experimental warm-up, whereas SF was higher after control warm-up. Physiological adaptations were observed mainly through an increased Tcore after experimental warm-up. In this condition, the lower [La-] after the trial suggests lower dependency on anaerobic metabolism.